Nominated for Music Week Best UK and Best International Marketing Campaign for Coldplay X&Y. We were commissioned to stage a two week interactive installation devoted to Coldplay and to promote their new album X&Y using cutting edge technology. It involved creating a virtual live appearance of what everyone was calling “the biggest band on the planet”. 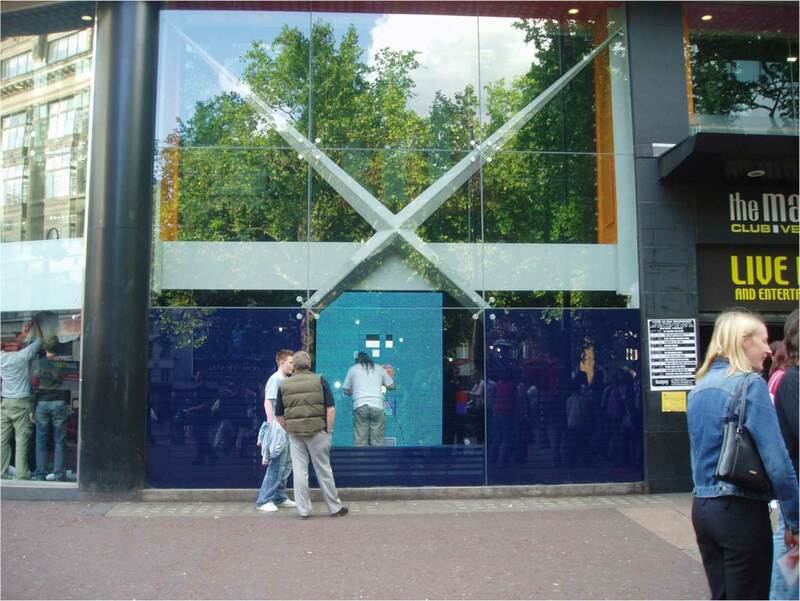 We found the empty MTV offices in Leicester Square to be the perfect location for this state of the art, multi-media UK first. 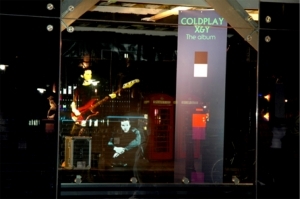 During daylight hours we ran exclusive MTV Coldplay footage on bespoke screens surrounded by walls of LED panels spelling out words using the new Coldplay album cover ‘code’. At night, Leicester Square comes to life so we produced the first ever 3D holographic projection gig. Coldplay materialised via free form 3D video and we had music blasting out via a revolutionary new sound system called Whispering Windows. This was a total UK first. From this, the Gorillaz holographic tour was born.